Has over 20 years of extensive experience working with the physically impaired population as well as with adaptive athletes through his involvement with various adaptive sports and recreation programs, including: non-profit organizations, rehabilitative and hospital settings, Injured Service-Members and municipal park and recreation programs. 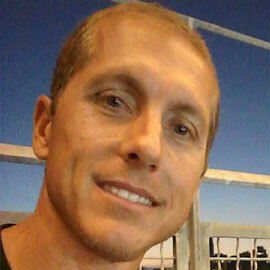 He has a Master’s degree in Exercise and Sports Sciences from the University of Florida and is a Certified Therapeutic Recreation Specialist (CTRS). Jon has been involved in the development of Para Surfing for 19 years. As the ISA Adaptive Technical Director, Jon, along with a workgroup, has successfully developed the classification system and rulebook that has been used in the World Adaptive Surfing Championship since 2015. Additionally, Jon is an avid surfer and has surfed for 30 years, traveling to several countries to surf and learn about different cultures.